GRAND RAPIDS — Fishing guide Steve Hutchins is pleased that anglers once again can fish with loose salmon or steelhead eggs. State officials banned the practice in 2007 to safeguard against viral hemorrhagic septicemia, a deadly fish disease. The ban was rescinded last fall and the practice becomes legal again Sunday, April 1, the first day of the 2012 fishing license season. “I’m pleased. It’s the right thing to do,” said Hutchins, of Cedar Springs, who opposed the 2007 ban. “You are going to tell me throwing a handful of eggs does potential harm while 5,000 salmon are upstream dropping millions of eggs into the water?” Hutchins said. State officials say they heard from a lot of angry bait fishermen and decided to drop the rule from the books. VHS did not show up the way they feared. The disease, however, was found in lakes Huron and St. Clair, the St Clair and Detroit Rivers, Lake Erie and its tributaries, Budd Lake in Claire County and Baseline Lake in Washtenaw County. 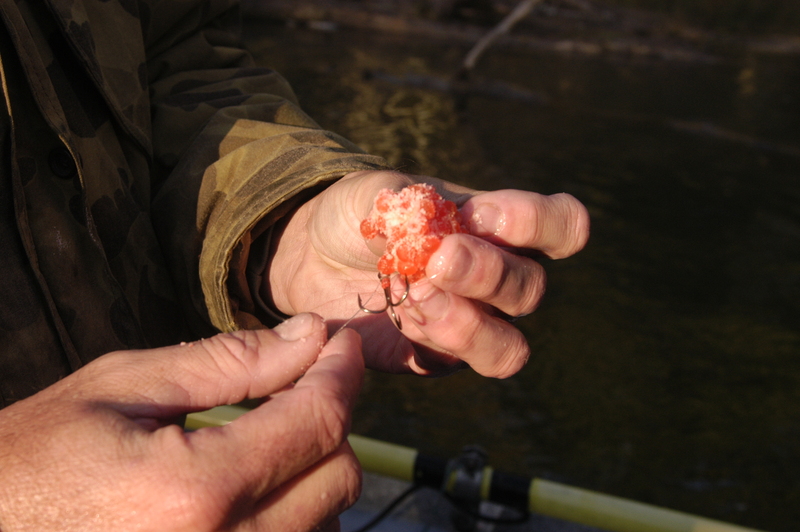 Fish eggs were singled out in an effort to reduce the potential of disease spread, Dexter said. But, John Hojnacki, an angler from Croton, called the ban “stupid” because anglers were still allowed to fish with a skein of eggs attached to a hook. This entry was posted in Uncategorized and tagged DNR, Fishing, Spawn, VHS. Bookmark the permalink.